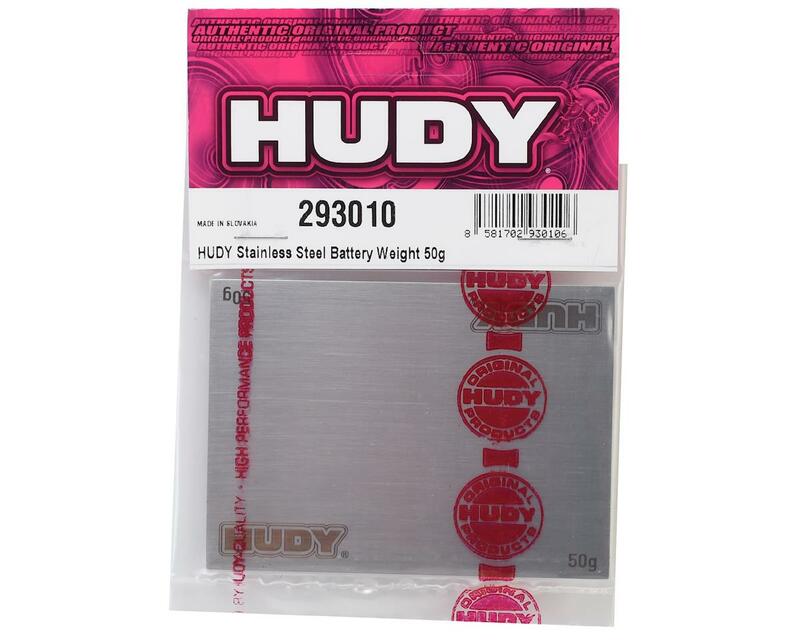 The Hudy Stainless Steel Battery Weight is a specially-designed 50g stainless steel weight for placement beneath short battery packs to add weight as low as possible. This helps to make the car easier to drive and improves landing. 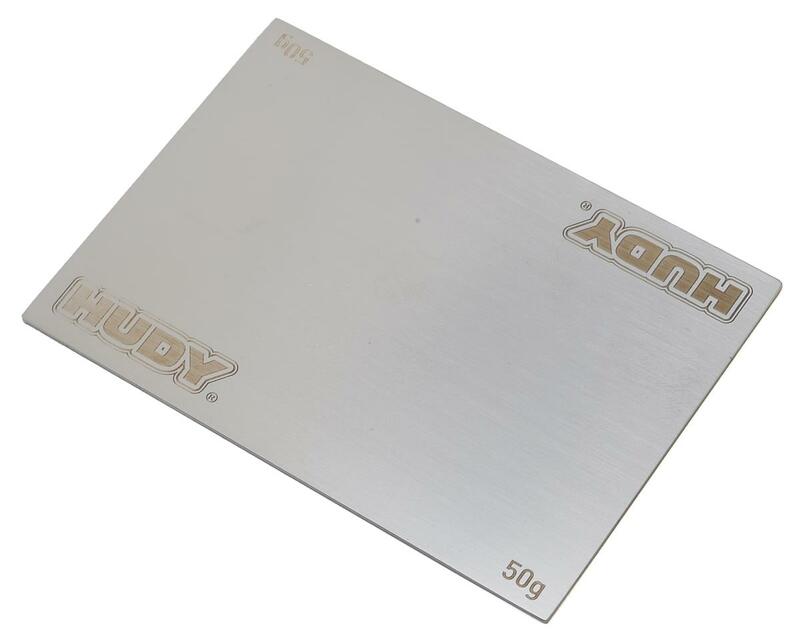 Dimensions: 95x68.5x1mm. Fits standard 1/10 off-road cars.